THE STERLING REVOLUTION: What have we here? well sorry for the lack of post lately, I was enjoying those sketch of the day (and plan to keep them coming.) however, like most things it was put off due to work. I've been working on cranking out a couple pages for one of the comics I'm working on and an album layout as well. I'll post the comic stuff here as a tease soon enough. 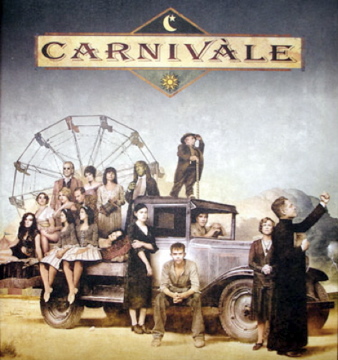 Well, on the non-productive side of my life, I've started watching a lovely TV series provided by my friend Scott Benson called "Carnivale". It takes place in 1935ish during the great depression. I'm halfway through season 1 and It's quite good. I recommend it highly. anyway that's all for now. back to the comic. Thats really funny, some friends from a community house and I started watching that show a month or so ago.